I help businesses build, grow, train, and support user experience teams so they can focus on creating great products. In order to be effective, a UX team will require not just the right talent & tools, but also the right organizational structure, clearly defined goals, expectations, and other processes that enable them to operate smoothly. This is what I do. I help businesses put these things in place so their teams can be successful. Hiring and onboarding talent is key. Many elements are often overlooked, such as starting with a strategic UX recruiting plan and interview process. I help business define their needs, create a hiring plan, and onboarding program that brings talent up to speed quickly. One of the biggest challenges UX talent has at a company is around lack of proper organizational structure & leadership. I help businesses build leadership plans, role definitions, leveling guides, annual review process, and team organizational structure that will help your UX team be effective. One of the biggest reasons UX talent will leave a company is around lack support for personal and professional growth. I help businesses build training programs, mentorship programs, and internship programs that will help create growth opportunities to retain top UX talent. Companies I have worked with. 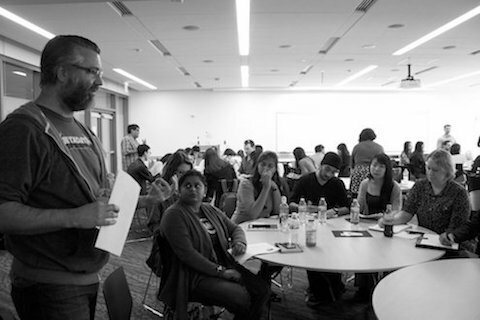 "Nick is a crucial cornerstone of the UX profession in Seattle and throughout the world due to his ongoing mentoring, educating, and all around UX advocacy. Nick is the complete UX leadership package, and I'm pretty damned honored to have worked with him over the years." "Nick is a very skilled information architect whose ability to quickly grasp the desired "end-state" and translate that into site maps, workflows and page descriptions was very impressive. I found him to be intelligent, concise, collaborative and accommodating... allowing us to create a vision together instead of working in silos." "I highly recommend Nick, he brings extensive experience and a rich skill set. He can ramp-up into even highly complex projects faster than most, and knows when to ask the right questions. His work ethic and dedication require no second-guessing." "I first worked with Nick while at Judy's Book and have followed his pioneering work in mobile application user experience design ever since. Nick's passion for user-centered design comes through in every interaction I have with him, and I continue to be impressed by his straightforward manner and the high performance and integrity bar he sets for himself and others. If you need help translating your brand and UX to the Web - or even more importantly - to mobile, I strongly recommend Nick." Craft & Rigor is an independent user experience design operations consultancy that I run based in Seattle. With over 20 years of experience, I bring a wealth of knowledge and insight to the table. My primary objective is to ensure the business are successful in hiring, building, and growing UX teams so they can focus on creating products that meet the customer's needs. I tend to pick only a handful of engagements each year. I prefer to partner with other subject matter experts that specialize in the areas the work may require rather than to try to do it all myself. If your business is in need of either building a UX team, elevating the skill level of the existing team, or getting your organization to be more effective in UX design and research, I can help. Interested in working with me? Get in touch. Folks I prefer to partner with. Copyright © Craft & Rigor 2018. An independent user experience design operations consultancy.